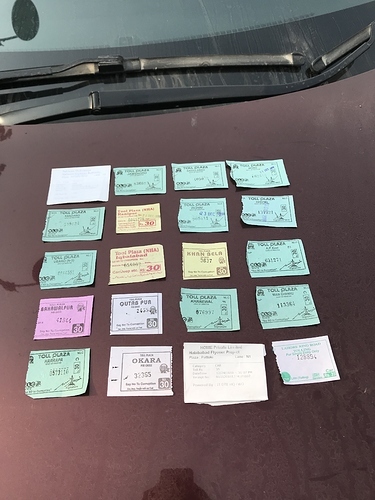 Traffic Violation Ticket:	Rs.200 for failure to observe the sign post of 50km/h limit just before Sadiqabad while coming back. The plan was a haphazard one, made on Saturday around 3PM and we hit the road on Sunday at 6:40AM. Got the vehicle checked for oils, batteries, and tyres which were a little hard for such a trip as they are the original Dunlop that came with the vehicle. My car was imported 0 meter in 2015 and had only done about 27,000 kilometers before this trip, however, the tyres were made in 51st week of 2014 but cosmetically they look quite ok so I took my chances and all went well al hamd o lillah. Since it was my first experience driving beyond Hyderabad, I called Hanif bhai (Hanif Bhatti @Libra ) who suggested taking the N5 after Hyderabad all the way and avoid any shortcuts or trying to connect the M4. He also suggested staying at Midway Hotel Sadiqabad as it is a convenient location. Thank you Hanif bhai for your valuable input, very much appreciated. We started from Shell Askari, Millenium Mall at 6:40AM. Filled the tank with Hi Octane (34liters) on 23rd December and reached Karachi toll plaza at 6:58AM. From then on we drove straight up to Kazi Ahmed near Nawabshah and stopped at a Byco Fuel station at around 10:15AM. It has got a newly installed children’s play area so the little one had a good time relaxing a bit. The only challenge for the kids was how to use the WC as they are, unfortunately, not accustomed to using one. To me the squat toilets are more hygienic, relatively speaking, then the seated ones. We stayed there for about 30-min or so and then drove all the way to Pano Aqil. In between we stopped at Ranipur to buy some Oranges to refresh a bit. The kids were over the moon when they saw a McDonalds at Pano Aqil, not for anything else at first, but for the thought of using their washroom We had lunch there and after about an hour’s stop over, drove to Midway Hotel Sadiqabad and reached there around 5PM, even though I had called them while leaving Karachi, they somehow did not have any reservations made. We were lucky that they had the room available so we were given a triple bedroom. We tried to explore local restaurants and went to Sajawal BBQ which was about 10-min drive from the hotel. The taste was below par for our expectations considering the restaurant was seemingly very big and busy OR may be we didn’t order their specialty which is Mutton Roast and Sajji. I refilled the fuel tank with Hi Octane from a PSO station while coming back to hotel. 37 liters gave us 632kms, i.e. 17km/l. 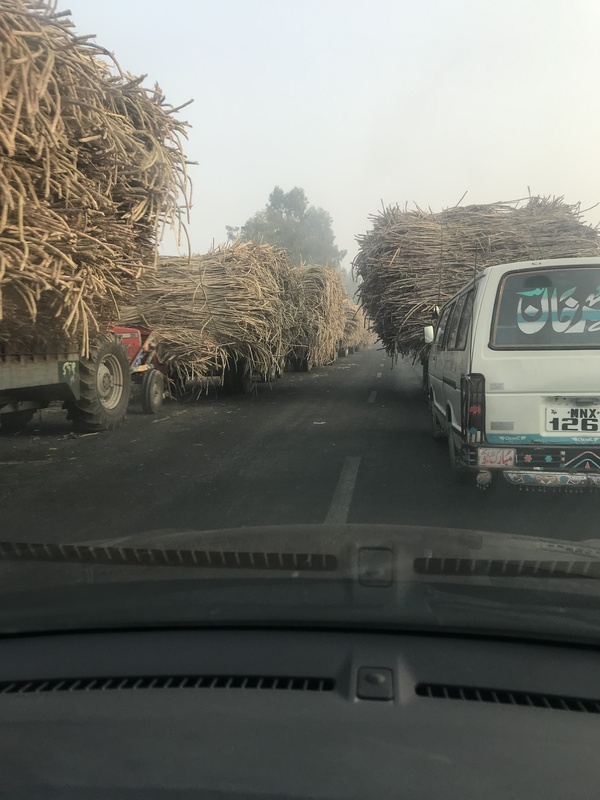 There were at least 3 occasions where there were a lot of tractor trolleys and camel carts on the highway near various sugar mills waiting for their turn to unload. At times the queue was about a kilometer or so long. 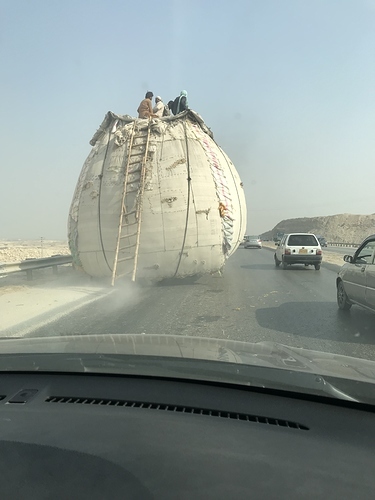 Extreme caution needs to be taken while overtaking between these trolleys and the slow moving trucks as chances of over-hanging cargo damaging the vehicle are very likely. You can easily make up for the delay as the road ahead is usually quite clear because all the traffic has already sped up when this queue ends. Total travelling time 10.5 hours (Driving 9.0hours PLUS 1.5 hours of stopovers in between). 5:15PM at Midway Hotel, Sadiqabad. Next morning we were ready at 6:45AM but the hotel staff said that the breakfast buffet will be served at 7:30AM instead of 7:00AM as was communicated to me last night. I told them that if I were told the correct information earlier I would have left at 6:40AM and covered a fair distance instead of wasting my time waiting for the breakfast buffet to open. The front desk guy was kind enough to ask a waiter to serve us bread and eggs along with butter and tea to save time, so all’s well that ends well. 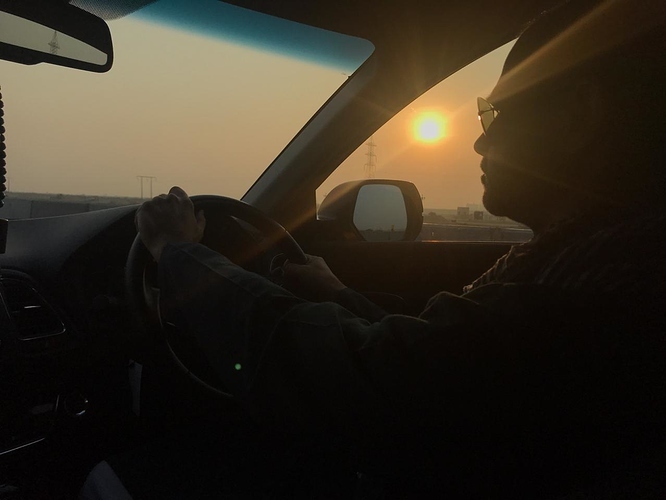 We started our journey on day two at 7:50AM and drove on untill Bahawalpur—McDonalds Bahawalpur to be precise , but it was closed as we reached there at 10:55AM. Seeing us, a guard reached and told us that the joint will be opened at 11:00AM so we happily parked the car and went inside to get some much needed relief. 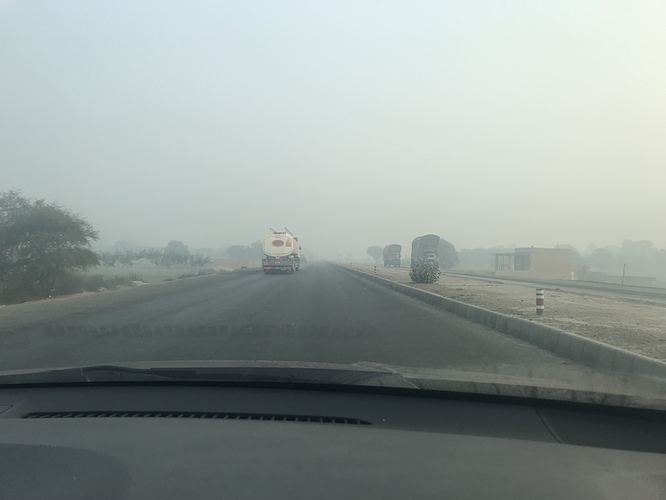 After about 25-min or so, we resumed our journey towards Lodhran but just before reaching Lodhran, we left N-5, took the right turn and joined the E-5 to Khanewal. E-5 is a good road, but beware of the bridge joints near Khanewal bypass. To me this 90km or so stretch of road is the best part of the overall journey (apart from M9 of course). Those who are still reading this babbling, please be mindful of the overhead/bridges’ joints in the road just before the Khanewal bypass. Simply poor work from the contractors as those were uneven joints instead of a proper tapered one, so the Vezel had such a loud thud that for a moment I was worried. There were about 3 such overhead passages which need to be negotiated at a slow speed. Pretty soon the E-5 ended and we rejoined N-5 just before Khanewal Toll gate. From there till Sahiwal was an uneventful drive, bypassing Mian Channu and Chicha Watni. Oh! we did stop at Mian Channoo—McDonalds of course, where else and right after crossing Sahiwal, we stopped at a Dhaba for a late lunch. We ordered Rosh, and Daal Maash, and the hotel owner gave us Mixed Vegetables complimentary, which was the best of the lot not just because it was free Rosh and its soup (shorba) were best suited for the chill in the air as we weren’t wearing any warm clothes just yet. We stopped briefly at KFC Okara to inspect their washrooms and found them satisfactory. I got a call from my brother in Lahore that there might be heavy traffic near Lahore so I refueled the car at Okara just to be on the safe side. They only had Premier, so I did not fill the tank to full capacity. We crossed Patoki and drove well past Phool Nagar and right after that, we met an extremely bad traffic jam. It took us about 90-100 minutes to be finally able to take the right turn to Raiwand Road so that we could join the Ring Road from there. 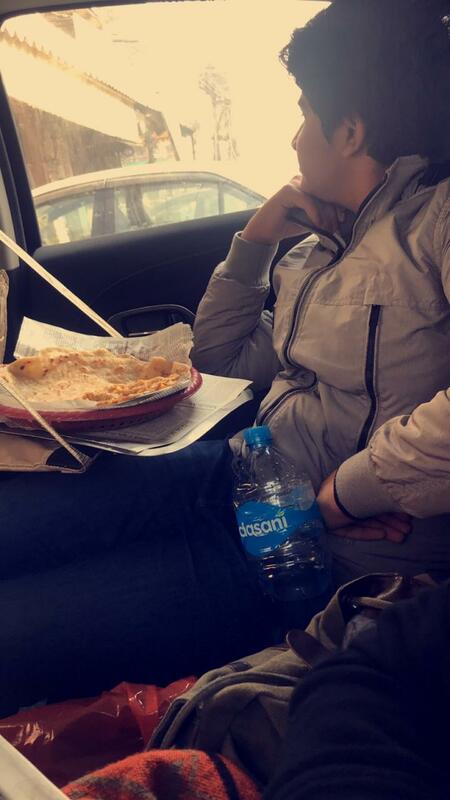 Had we have to drive to Thokar Niaz Baig, I think we might have to bear that traffic jam for another 30-40 min. The only good part of that ordeal was that the Vezel gave me 22km/l average on the last stretch of 100km from Patoki to Raiwand Road because it was mostly driven on electric batteries. Total travelling time 12.0 hours (10.5hours driving PLUS 1.5 hours of stopovers in between). 8:00PM at DHA Phase 8 opposite Allama Iqbal Airport, Lahore. In Lahore my elder brother took the kids to Chacha Feeka’s Lassi at Main Bazar Gawal Mandi. They did not dare the original recipe i.e. pairay waalee lassi, but did try the makhan walee lassi and not only enjoyed it but digested it as well. Later on we had Ghulam Rasool’s Murgh Chanay at Neela Gumbad, followed by garma garam gulab jaman and then fresh orange juice from the thaila outside. At night we went to Fazl e Haq Daira at Qaddafi Stadium and enjoyed the sumptuous food, followed by Kashmiri Chaye from Rizwan Burger and Fast Food restaurant, main market Gulberg. My kids though had Waffles cone ice cream from Alamgir Waffles at the round-about on main market and that was the highlight of the tour for them. but enroute we stopped at a dhaba near new food street, and had breakfast there. We had Chaye paratha and Aalo bhara paratha with omelet followed by a boiled corn on the cob. Then we visited the Lahore Fort as well as the Baadshahi mosque. 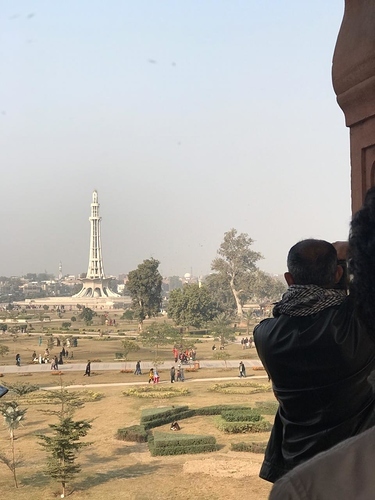 I can only wish that we the public as well as the authorities do our job properly so that both these heritage sites weren’t in such deplorable condition. Apparently the kids enjoyed their time there. Some time and money was given to shopping—can’t escape that when travelling with your wife, can you? We went to Feroze Pur Road near Gajju Matah Metro bus station. They’ve got plenty of factory outlets on both sides of the road, such as Hush Puppies, Breakout, Levi’s etc etc. A good place to buy quality stuff and save some money as well. We also went to explore Mall of Lahore and Packages Mall, both are good places but nothing special that you can't find at Karachi. On December 29th we said goodbye to Lahore at 8:00AM. 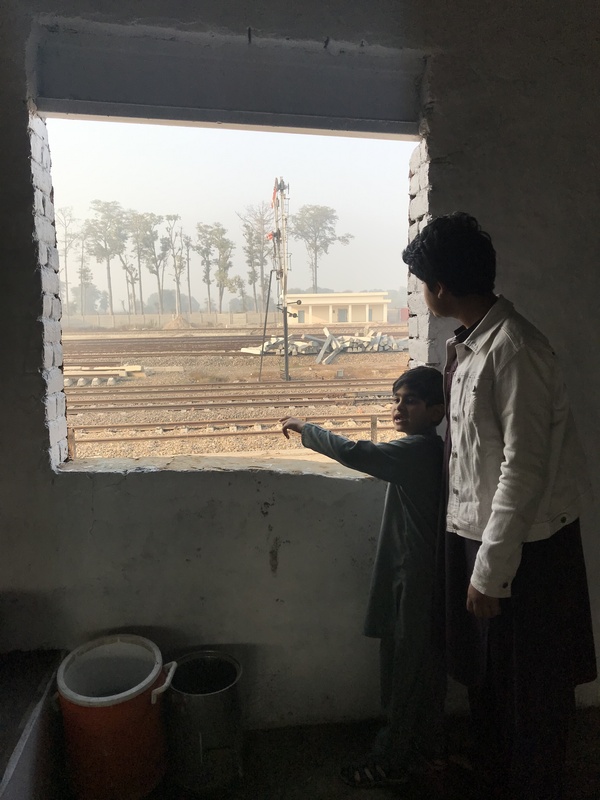 For the journey back, I initially thought of using the M4 just to have a new route added, but both my brother and a couple of Pakwheelers advised against it as I have to travel on a dual carriage way from Toba Tek Singh to Chicha Watni, which may consume more time, so stuck to the original route of N-5. I called Midway Hotel, Sadiqabad for booking and they said they only had 1 Master bedroom available which had a WC. Initially the kids said to look for some other option. But my brother called them again and asked if they had any common washrooms for guests and that if that common washroom had the commode seat. The guy said they do, so I asked them to book the room for us. We took the Lahore Ring Road (L20), which connected us to Raiwand Road and then to N-5. On our way to Phool Nagar we came across 2-3 patches of heavy fog with a visibility of merely 20 meters or so but it was neither that dense nor far too stretched—hardly for about 200-300 meters. We took the left turn to E-5 again after Khanewal Toll gate, and stopped at Bahawalpur. Need I tell you why and where? Ok, I’ll tell you anyway, McDonalds! 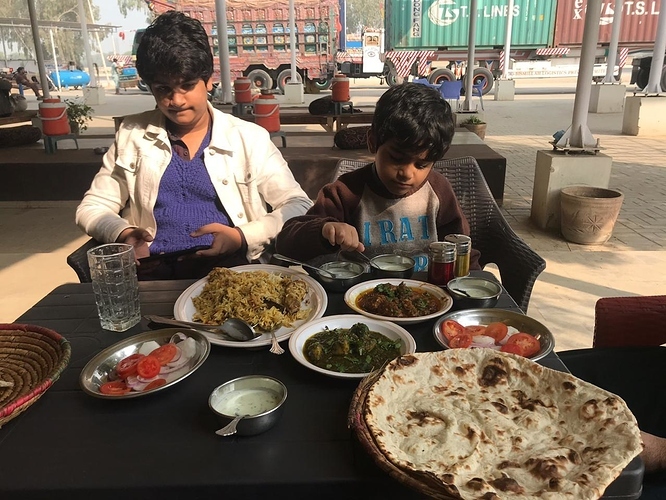 We drove for about 30/40-min or so before stopping for lunch break at a Dhaba near Ahmed Pur Sharqia, and had Biryani (read chicken pulao), Namkeen Gosht, and Aaloo Mattar. I said whichever you like, thinking that the fine will be Rs.950. But he was very considerate and after checking my driver’s license and getting some basic information, he only fined me for Rs.200 i.e. not observing the sign post. We reached Midway Hotel, Sadiqabad around 5:30PM, got the room without any fuss and checked in. 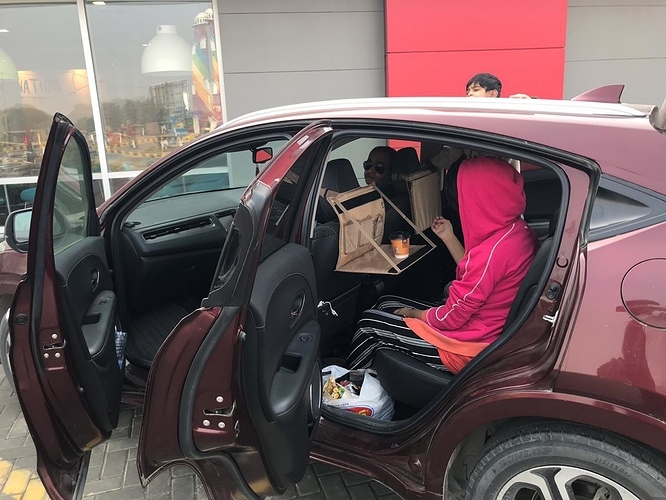 The kids’ plan was to go to the McDonalds just across the road, but in the end they agreed to dine-in at the hotel’s restaurant. We had Chicken Tikka, Chicken Handi and Alfredo Pasta. The quantity was sufficient enough to be able to serve at least 2 more people! and the taste was really good. They gave us one complimentary mattress & blanket while the other would be charged at Rs.700. So I used the sleeping bag, which was lying idle in the boot for a week. Total travelling time 9.5 hours (8.5hours driving PLUS 1.0 hour of stopovers in between). Next morning, we had the buffet breakfast at the hotel. The menu included murgh channa, mixed vegies, omelet, bread, butter, jam, paratha, and tea. They also served fried egg on request. At 8:00AM we were on the road and our first destination was? I think you guessed it right—McDonalds Pano Aqil. We reached there at 9:35AM but to my kids’ dismay, it still had 25 minutes to open. I urged them to not waste any time and continue our journey to which they comply. From then on we travelled non-stop to Kazi Ahmed and stopped at the same Byco fuel station on the opposite side of the road, for which I did not have to go far as there was a U turn right next to it. So I’m happy that they learnt fast. Post lunch we started our journey back home without any more stoppages and cruised until Hyderabad which was a bit crowded for two reasons, first the road repairs and then the bottle neck at the bridge on River Indus, not because of anything else but the unnecessary extra lanes of those who want a shortcut to overtake others. 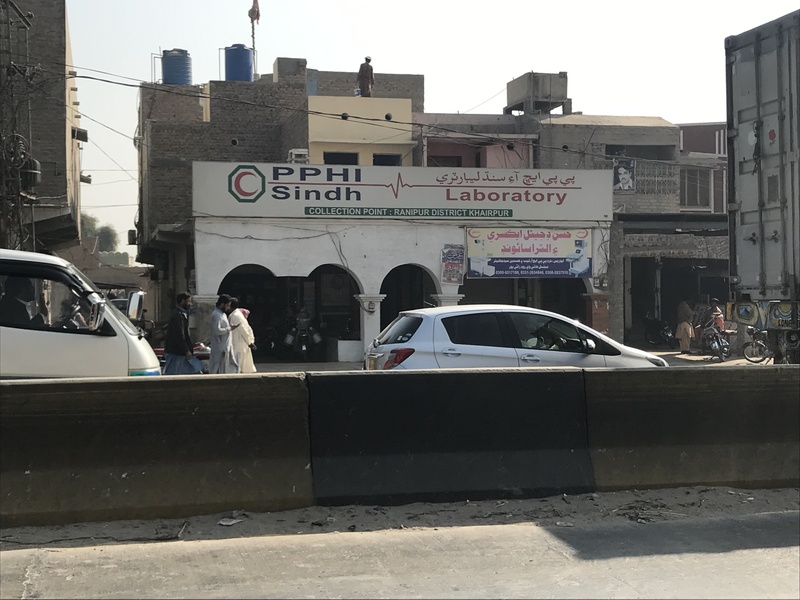 One thing I don’t understand is that why they take the toll tax at Jamshoro while going to Karachi from those who intend to use M-9? I mean they can easily shift the toll gates 50-meters ahead on the left curve that goes towards Kotri on the way to Karachi via Thatta. So in a way we pay to utilize 50-100 meters of N-5 and again pay toll for M-9. Anyways, we were back home at 5:30PM al hamd o lillah and the trip that was planned in a haste ended safely and without any negative incidents. 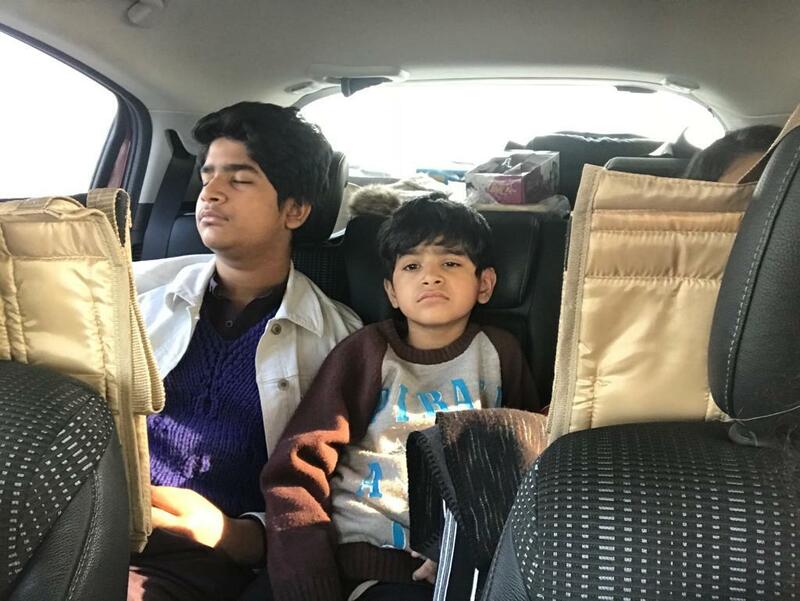 The idea behind the road trip with the family was to show the kids how beautiful Pakistan is, to actually see what they have only read in books, but also to expose them with the experiences that only travelling can give such as discipline, punctuality, improvisations, trade-offs etc. I’m happy that they have coped with the situations quite nicely and hopefully will become good citizens and human beings. 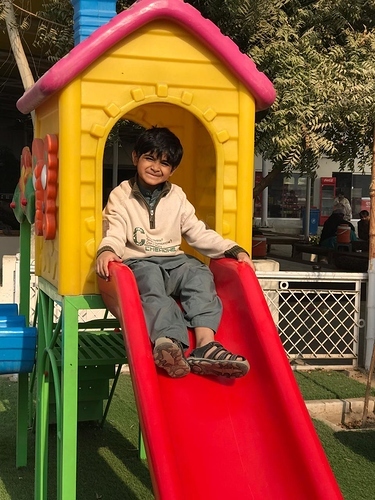 One thing that needs to be mindful of is the energy levels of the kids, while they were quite excited going up, they were lethargic and bored to their bones for the large part of journey back. I tried to keep them interested by telling the specialties of different towns, their right pronunciations, the famous monuments etc but only that I knew of so that their interest levels are intact. They were happy to use Snapchat/Instagram and let their friends know of their experiences along the way, and also had their playlist on the stereo. Total travelling time 9.5 hours (Driving 8.5 hours PLUS 1.0 hour of stopovers in between). Thank you for reading and I’ll appreciate your feedback on the trip report. A whirlwind tour, candidly written. I very much liked to take the Pajero but didn't do for 2 reasons. One was simply the cost of fuel, I run it on Hi Octane so the fuel cost alone was calculated at approx 50k, and secondly, I do not have any prior experience of taking it that far. I took it to a road trip of about 120kms (one way) and it went smoothly. Since this time the family was with me, I decided to play safe. I intend to take it for a ride pretty soon in sha Allah, a plan for Larkana is brewing up with the boys, lets hope all goes according to the plan. How much average speed were you able to maintain on interior Sindh roads ? Could it be possible to maintain 100 - 110 all the way ? My vehicle has the maximum cruise control limit of 110kmph, so I cruised mostly on 110. But there are a few stretches here and there where you can do even 130+. An excellent trip, very detailed. Noted. But do take her out, unless you do you will never gain confidence and put your trust in her. When I bought my Land Cruiser in 2014, I drove from KHI to Abbotabad. Took her to Thandiani, Nathiagali etc. I then took her to Ormara. Now am happy and confident (Allah Apna Fazal Rakhey aur Azmaish Say Bachai-Ameen). Moreover, you will actually be able to identify and rectify the faults/maintenance issues only after doing a long road trip. Within the city you will have to believe your mechanics statement "try lain sahib mein nay jahaz bana dya hai issay"
Well explained and will help other people travelling with families. Thank you everyone for liking and commenting on the thread. It was indeed a short trip, but we did have 4 full days to spend in Lahore. The temptation was there to visit Islamabad and the mountains, but I resist that because it would only mean more time in the car. Thank you sir for the detailed review. I am planning on visiting Karachi from islamabad in the end of the month and had few questions. Any suggestions on the route or should I stick to the one that you took.